Today, it can be easy to forget that Germans were once derided for not speaking English, the Irish were resented for being Catholic, and that Eastern Europeans were considered inferior to “real” white people. There is no doubt that the new surge of anti-immigrant backlash is aimed at Latin Americans and Muslims. On Monday, the Republican National Committee unveiled its most harshly anti-immigrant platform in recent history. It’s theme — “Make America Safe Again” — reaffirmed the immigration issue as a central focus of Donald Trump’s campaign. Between stories that muddled the lines between terrorism, crime, unemployment, refugees and immigration, the response of a heated, raucous crowd, shouting “Build the Wall,” and praise of the Republican nominee as a lifesaver from God, there is no doubt that they do believe that the quality of recent immigrants is undesirable. 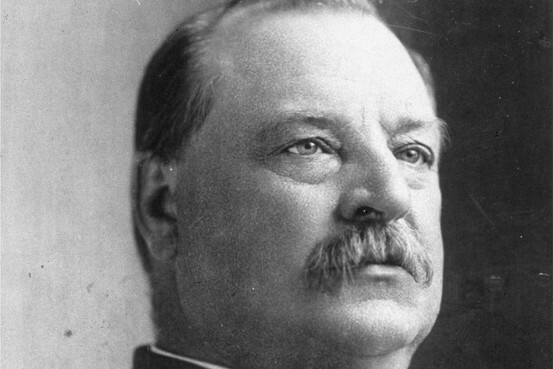 President Cleveland’s words from over a century ago make it clear that our nation’s ongoing dialogue on immigration has been repeating the same theme throughout our history. Although we are a nation of immigrants, a section of us always fears, excludes, and seeks to bar the newcomer. Interestingly, the Republican political convention and its anti-immigrant rhetoric is taking place in a city that has pushed hard in recent years to attract newcomers instead of repel them. 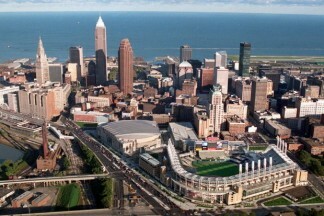 Like other Midwestern cities, Cleveland was once a symbol of the American dream, a place where blue-collar jobs could provide a comfortable life. That glory was created by past waves of migrants including Irish immigrants, Eastern European refugees, and African Americans moving from the deep-south. It’s peak was built on immigrants, and it seems its revival will be built on immigrants. A growing coalition of local politicians, business leaders and activists are looking resuscitate the city by seeking newcomers. More and more immigrants from Latin America, Asia and the Middle East are coming, and the focus has shifted from blue to white collar work. Additionally, despite a nationwide debate over whether to accept refugees from Syria and other countries, Cleveland agreed to up the number of refugees it would accept each year and has plans to accept more. Perhaps nowhere best shows how Cleveland was shaped by immigrants as the West Side Market and the Cultural Gardens. The market offers homemade food from around the globe — Polish pierogis, Cambodian banana leaf, Middle Eastern tabbouleh, Mexican tamales. Additionally, the 276-acre Cultural Gardens is made up of 31 distinct gardens honoring those who molded the city. The first, planted a century ago was the British garden, and the latest, planted in 2012, is the Albanian garden.